The new Pininfarina collection of Visconti takes its inspiration from the very successful limited edition the two brands developed together. 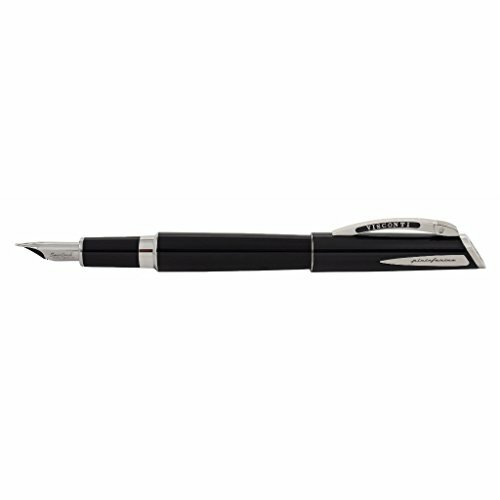 Keeping almost the same innovative and modern design, the Visconti "maison" re-engineered the pen with the most innovative technologies and materials. The dimensions are for an everyday use as the pen fits the standard dimension of a shirt pocket perfectly. It's a daily collection pens, versatile and lightweight with a simple filling system to facilitate the daily use. The collection has been launched in two main colors; a very bright black with silver color stainless steel trims and the very famous Ferrari Red recalling all the models Pininfarina designed for Ferrari during the past 80 years.